Tabula Impressa (2012), ink and pastel on paper, 21 x 14.8 cm. Tabula Impressa n.3 (2012), ink and pastel on paper, 21 x 14.8 cm. Tabula Impressa n.20 (2012), ink and pastel on paper, 21 x 14.8 cm. 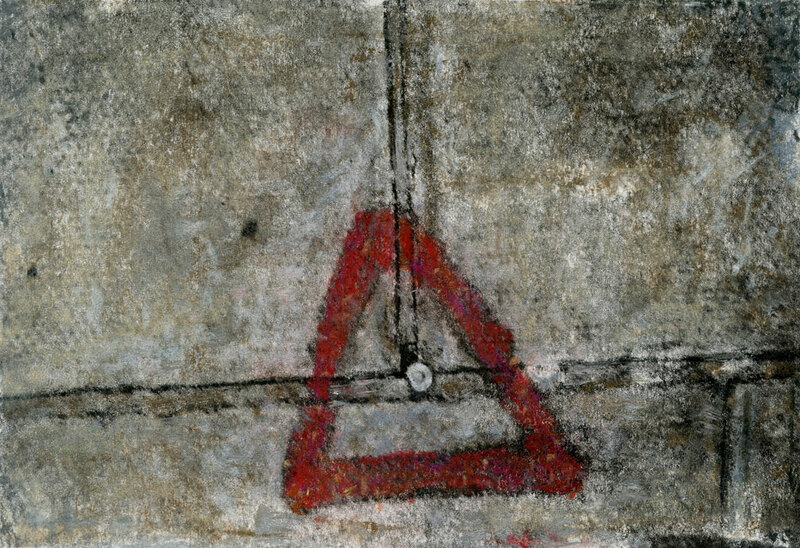 Tabula Impressa n.21 (2012), ink and pastel on paper, 21 x 14.8 cm. Anarca, version 1/3 (2012), ink and pastel on paper. Anomalous God Is Not Great no.1 (2010), graphite, charcoal, spray paint on paper. dalla Rosa Gallery at the London Art Fair (Business Design Centre, Islington, 16 - 20 January 2013) Art Projects, stand P5, presenting work by Bozhinov/Ricci and Christina Mitrentse. As part of the 2013 Art Projects we are showing Celestial Bodies , a curated display focussing on two aspects of landscape: detail and space. 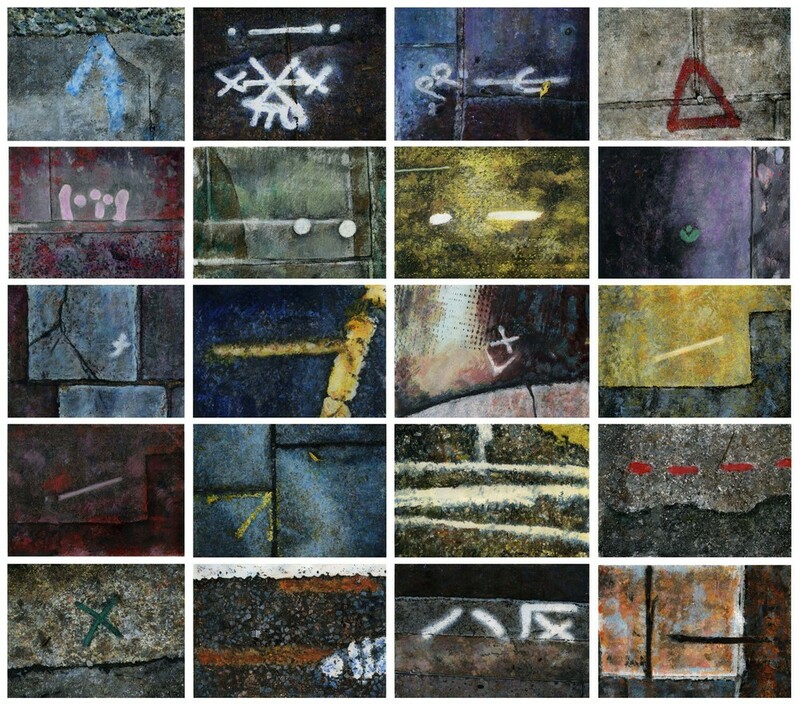 Using similar media Mitrentse and Bozhinov/Ricci create different sets of images, the former drawn to the skies, the latter looking into the mysterious semiology found on urban streets. Bozhinov/Ricci is a duo of writers and artists sharing a communal field of interests, aesthetics and a cross-disciplinary approach to their research and practice. Their projects combine written and spoken word, visual work and references to other forms of human knowledge and experience. Greek artist Christina Mitrentse studied at Chelsea College of Art and University of Greenwich, she has exhibited nationally and internationally.